It seems everyone is concerned about the environment and trying to reduce their “carbon footprint”. I hope this trend will continue and grow as a nationwide way to live and not turn into a fad. Composting has been around for MANY years. Composting is a great way to keep biodegradables out of the landfill and to reap the reward of some fabulous “black gold”. That’s what master gardeners call compost and it’s great for improving your soil. Plants love it. Check out 10 Rules to Remember About Composting. The best way to start a compost pile is to make yourself a bin either with wood or chicken wire. Layering fresh grass clippings and dried leaves is a great start. As the ingredients in your compost pile start to biodegrade they will start to get hot. To avoid your compost pile rotting and stinking you need to turn the pile to aerate it. This addition of air into the pile will speed up the decomposition. Adding water will also speed up the process of scraps turning into compost. Don’t add too much water, but if you haven’t gotten any rain in a while it’s a good idea to add some water to the pile just to encourage it along. Vegetable scraps are okay to add to your compost pile, but don’t add meat scraps. Not only do they stink as they rot, but they will attract unwanted guests like raccoons that will get into your compost bin and make a mess of it. Since it takes time for raw materials to turn into compost you may want to have multiple piles going at the same time. Once you fill up the first bin start a second one and so on. That way you can allow the ingredient in the first pile to completely transform into compost and still have a place to keep putting your new scraps and clippings. This also allows you to always keep a supply of compost coming for different planting seasons. Just because something says that it is recyclable it doesn’t mean that it should necessarily go into the compost bin. For example, newspapers will compost and can be put into a compost pile, but you will want to shred the newspapers and not just toss them in the bin in a stack. Things like plastic and tin should not be put into a compost pile, but can be recycled in other ways. 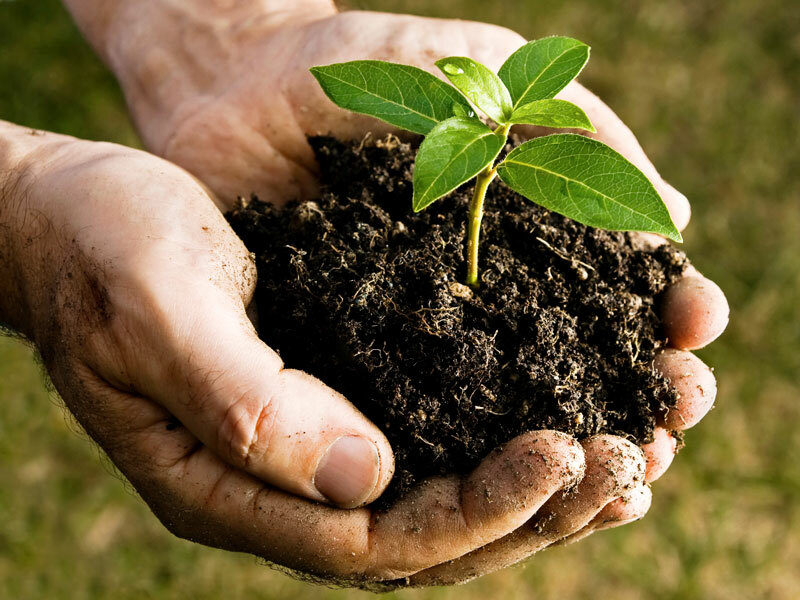 It might be tempting to use your new compost in your beds as soon as it starts looking like black soil, but you need to make sure that it’s completely done composting otherwise you could be adding weed seeds into your beds and you will not be happy with the extra weeds that will pop up. Dried materials as well as green materials need to be added to a compost bin. In the Fall you will have a huge supply of dried leaves, but what do you do if you don’t have any dried leaves? Add straw or hay to the compost bin, but again these will often contain weed seeds so be careful to make sure they are completely composted before using them. Not only potato skins are considered kitchen scraps. Eggshells and coffee grounds are great additions to compost piles because they add nutrients that will enhance the quality of the end product. I’m sure you have heard that manure is great for your garden, but cow manure is cured for quite a while before used in a garden. Pet droppings are far to hot and acidic for a home compost pile and will just make it stink.